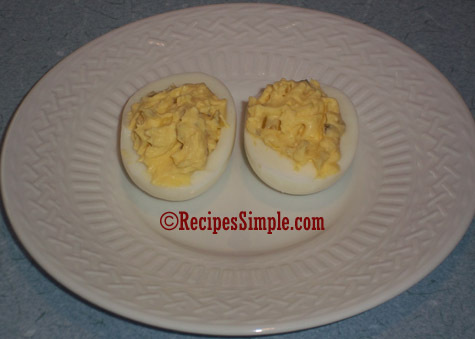 Just about every holiday you will find deviled eggs on the menu. No matter if it’s Easter, Memorial Day, 4th of July, Labor Day, Thanksgiving or Christmas. If we are having family together there better be some deviled eggs! They are so easy to make and a classic side dish that everyone loves. You can change them up by adding ingredients your family loves. We like dill relish but I know some people prefer sweet pickle relish. You can also add bacon and onions. Make it your way! Add eggs to saucepan in a single layer; add water to completely cover eggs. Bring to a boil. Cover and remove from heat. Let stand for 15 minutes. After 15 minutes drain and fill the saucepan with cold water. Let sit for a few minutes to cool down then tap each egg firmly on the counter until cracks form and peel under cold running water. 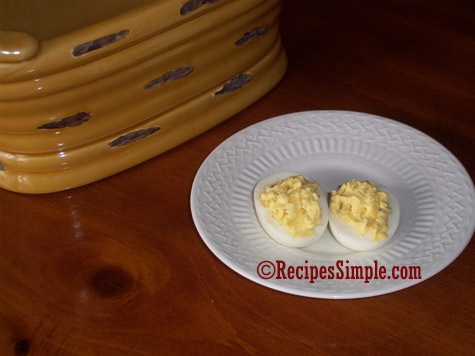 Slice eggs in half lengthwise and remove the yolks. Mash yolks with mayonnaise and mustard. Add dill relish, salt and pepper (optional) and mix well.